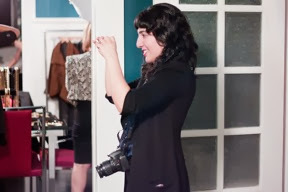 Move over Rachel Zoe, there is a new stylist rising in the San Francisco style scene and her name is Sasha Maksutenko! 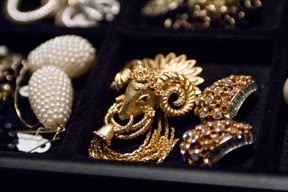 Sasha has great taste as is apparent by her curated selection of vintage jewelry on her site Sasha Maks Vintage. Her taste is also visible in her style and she has decided to launch her own personal stylist services through her upcoming website, Styled by Sasha Maks. 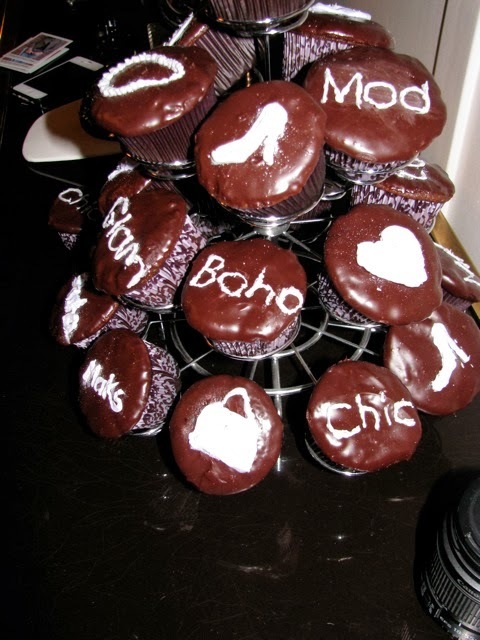 To celebrate her new venture, she invited a few local taste makers to honor the launch of her site and for a taste of her work as a stylist and some delicious chocolate ganache cupcakes by yours truly. The party was held in a gorgeous apartment with makeup and hair touch ups being offered along with delicious champagne and cupcakes. 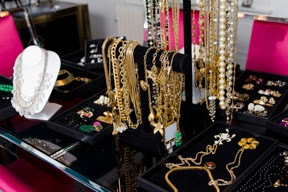 Sasha had her jewelry on display for sale and The Factory's Fall capsule collection was available in case guests wanted to receive tips on how to update their current wardrobes by Sasha. It was a very chic night and I enjoyed seeing all of Sasha's outfits and jewelry selection. If you'd like to stay updated with her styling services and want to find out when her website launches, like her on Facebook here. 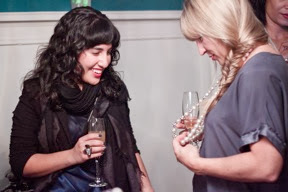 Thanks to Jennymay for providing photos from the event and a very special thanks to Sasha for the exclusive invite!